Knowing how to make whipped cream from scratch is handy for so many dishes and desserts. 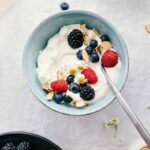 This recipe gives you all the steps, tips, and tricks to make perfect delicious whipped cream every time. My oldest boy Grey could eat whipped cream by the spoonful if I let him. I blame his grandma for getting him hooked — while the husband and I were in Italy last Spring, my mom introduced my boys to reddi-whip and gave them a spray of it every night before bed. Yes, the same mom that NEVER bought us whipped cream growing up haha! While I’ll admit that canned whipped cream is just about as easy as it gets, there is nothing that compares to making homemade whipped cream. Plus, it is super simple to make (not that much harder than purchasing ready made whipped cream). Today I’m sharing how to make whipped cream, a few simple tips, and teaching you how to stabilize whipped cream. Chill the mixer: start by putting your mixing bowl and whisk in the freezer for 15 to 20 minutes. 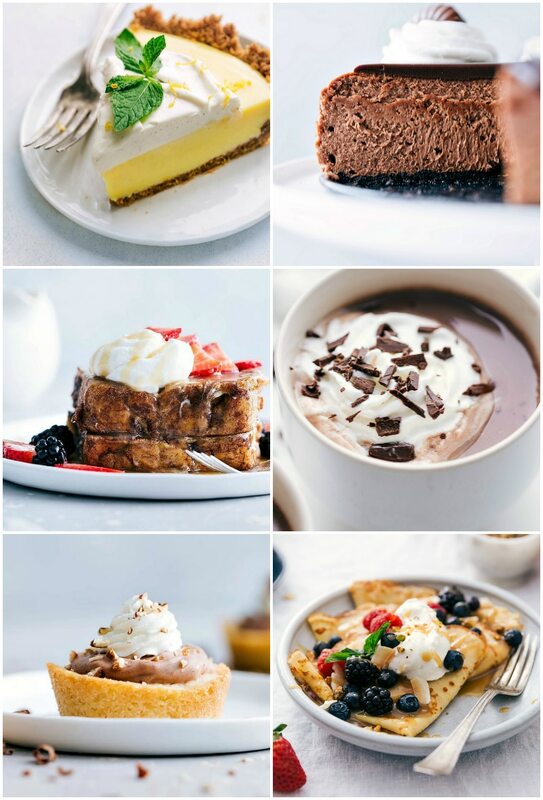 The colder everything stays the better your whipped cream will be! Add ingredients: pour all your ingredients into the chilled mixing bowl and whisk it all together on a high speed for about 1 minute. Watch closely: make sure you do not over beat the mixture. If you added too much liquid you may have to beat a bit more than 1 minute, but make sure you are watching the mixture closely — it will go from soft peaks to over whipped, stiff, and grainy. Use: serve the whipped cream immediately OR put it in the fridge until ready to serve. Can whipped cream be made ahead? 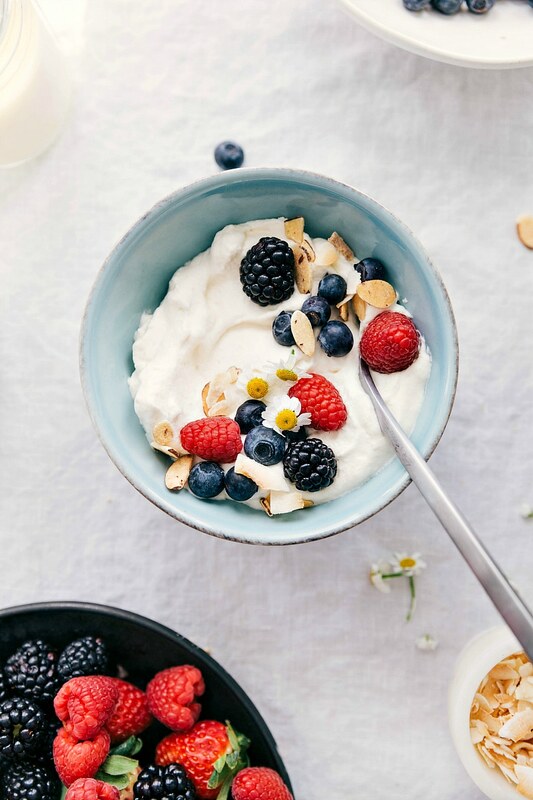 Whip the cream (with the vanilla, powdered sugar, and salt) as usual, but beat it less stiff than you want it to be when you’ll be serving it. Cover the bowl tightly with plastic wrap and place it in the fridge until you need it. 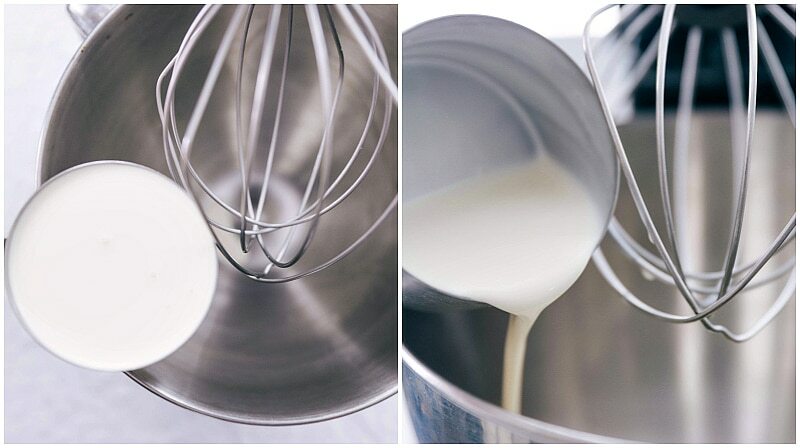 As soon as you need the cream, grab a (cold) wire whisk and give it a few brisk strokes as needed. It will thicken right up and be ready to use! How do you make whipped cream stay stiff? If you want whipped cream that will hold it’s shape and remain stiff, you’ll need to make what is called stabilized whipped cream. Stabilized whipped cream won’t deflate or weep, holds its shape well, and is great for pipping onto desserts. To make stabilized whipped cream, you’ll need a few extra ingredients, but the process isn’t too much harder. Check out this post for a full recipe and more information. Use a good heavy whipping cream. The best tasting whipped cream doesn’t have additives; if possible find a brand that lists only one ingredient: cream. 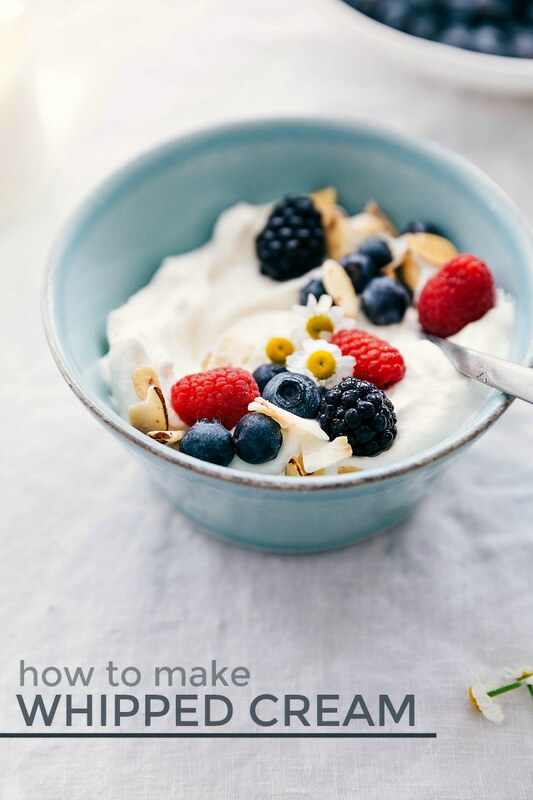 Use cold cream: the heavy whipping cream must be very cold to whip up to a gorgeous whipped cream. Make sure you’re grabbing it straight from the fridge! Adjust the sugar: as the cream has become fluffy and thick from beating, it will taste less sweet. Make sure to give your nearly finished whipped cream a taste and add a bit extra sugar as needed. Knowing how to make whipped cream is handy for so many dishes and desserts. This recipe gives you all the steps, tips, and tricks to make perfect delicious whipped cream every time. Place mixer bowl and whisk in freezer for 15 to 20 minutes to chill. Make sure the cream has been chilling in the fridge for at least an hour (don't use straight from a grocery store). Pour heavy whipping cream, sugar, vanilla, and salt into the cold bowl (attached to a stand mixer) and whisk on high speed until medium to stiff peaks form, about 1 minute. Watch carefully to avoid over-beating. Near the end of the minute, taste and adjust sugar to taste (adding more if needed). 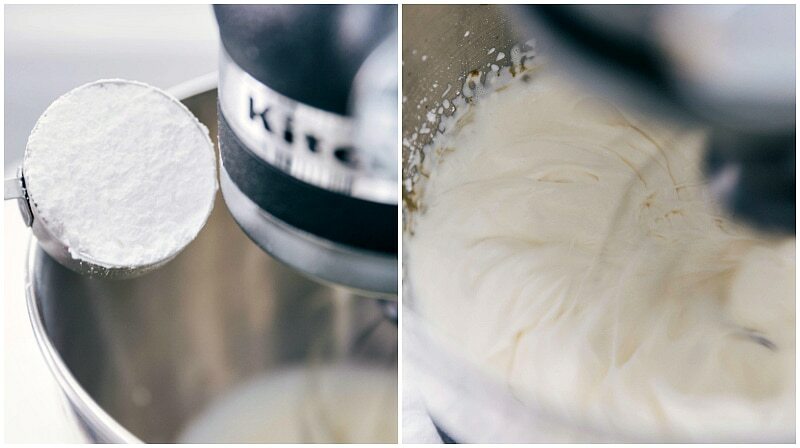 Store any unused whipped cream in an airtight container for up to 10 hours. When ready to use again, briskly re-whisk (with a cold whisk) for for 10 to 15 seconds.